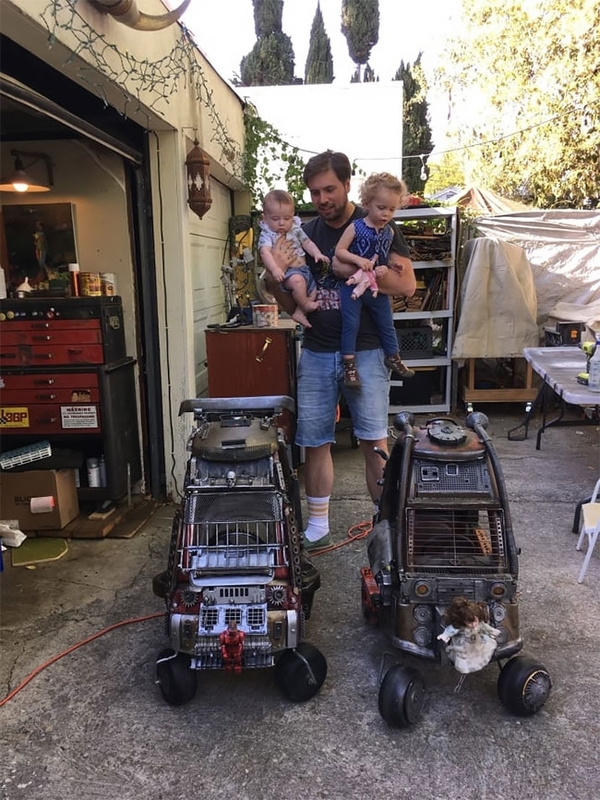 Ian Pfaff is a writer/director based in Los Angeles and has spent the last couple of years making content for Nickelodeon and Funny or Die. 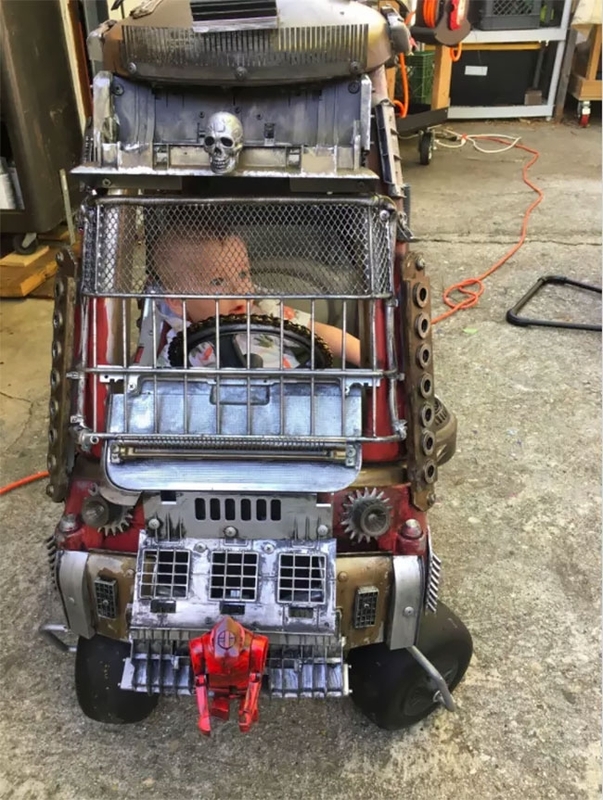 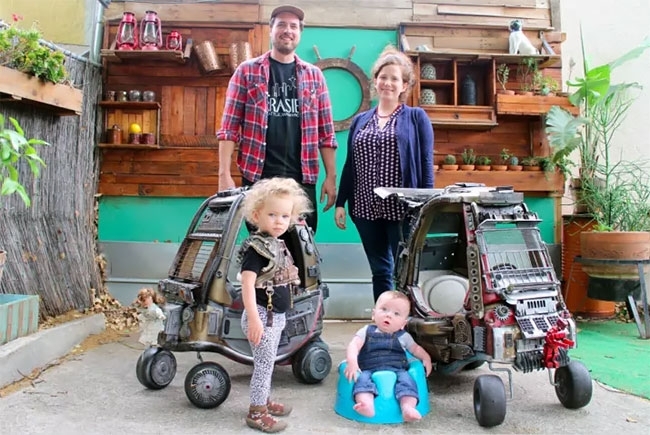 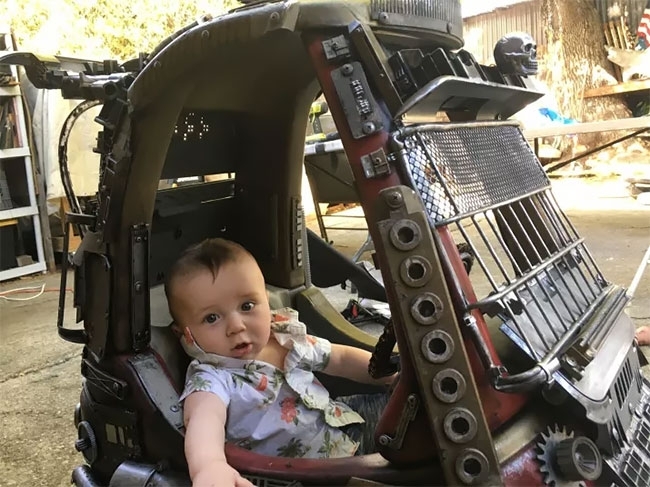 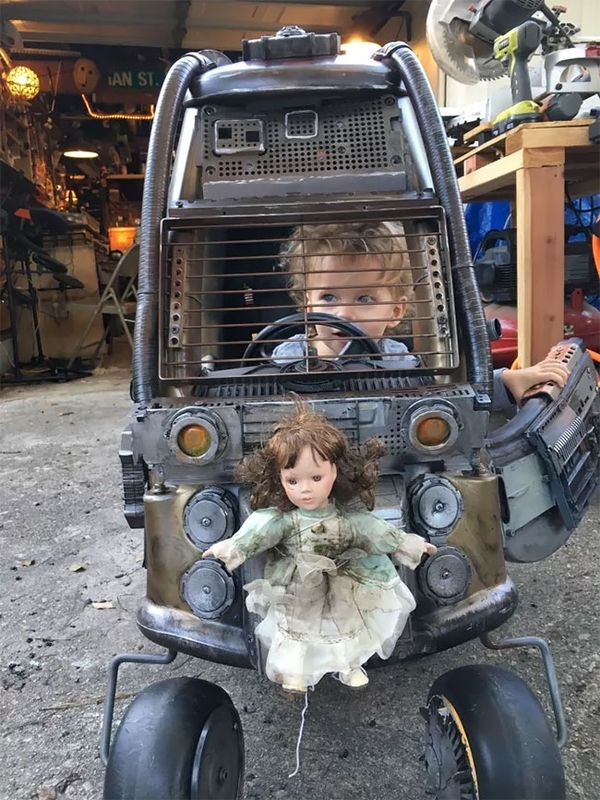 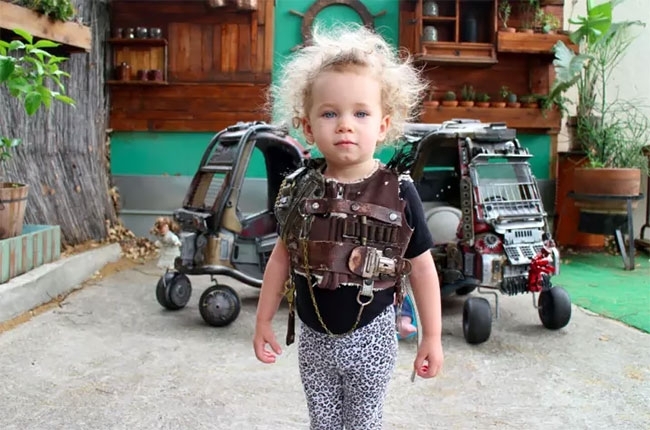 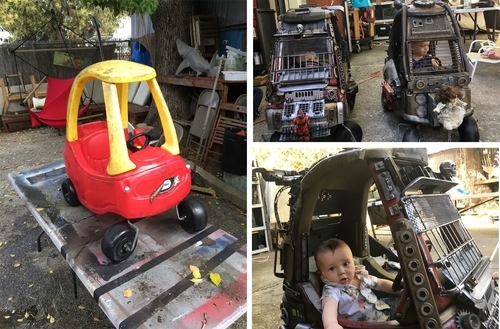 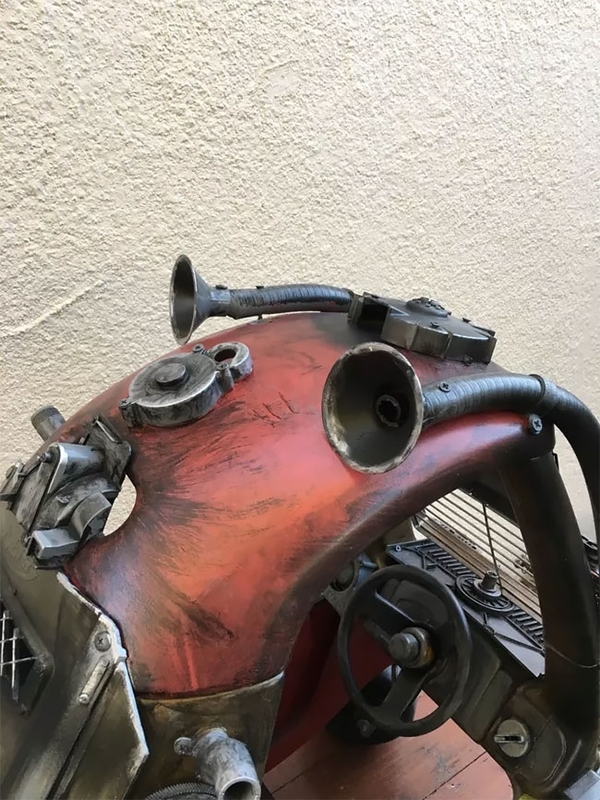 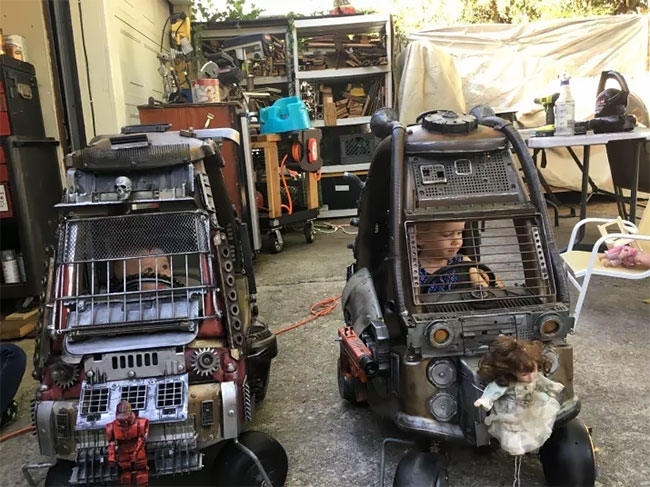 As he is a huge Mad Max fan, he decided to spec-up his kids toy cars. 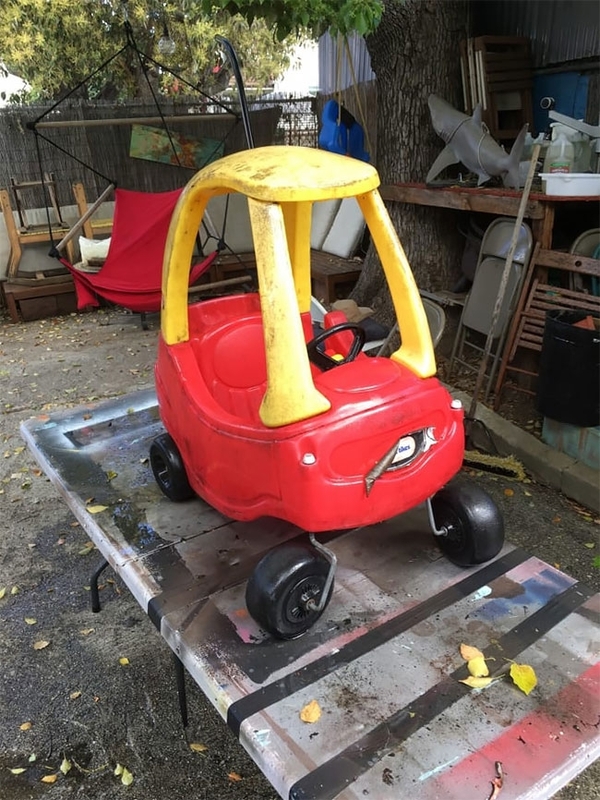 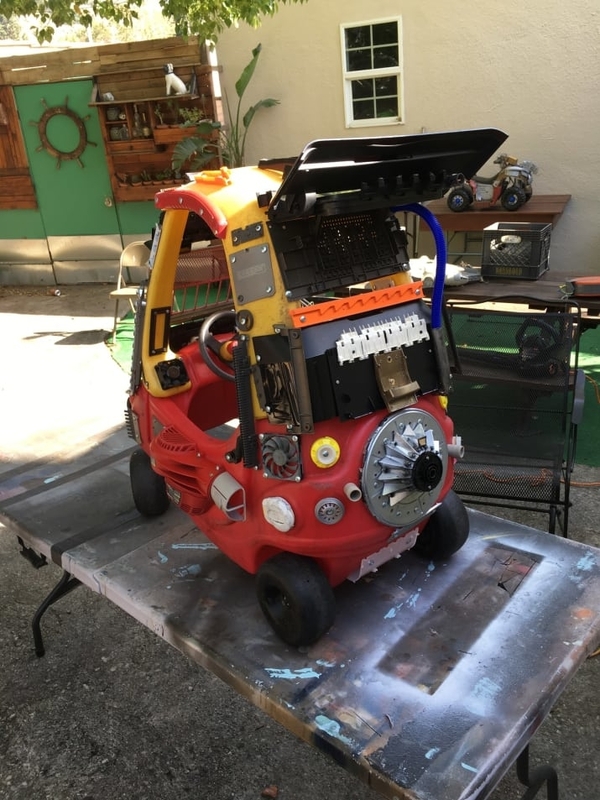 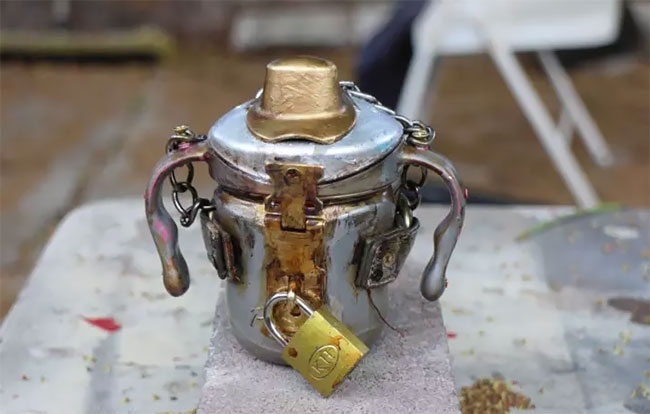 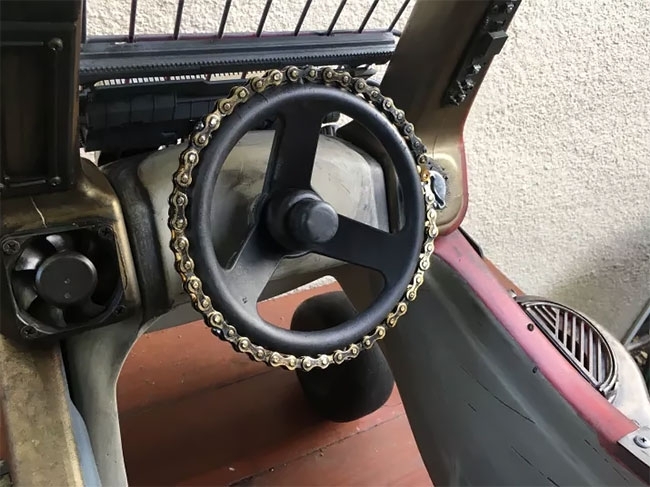 He used various bits and pieces from left over computer parts, to sections of a coffee machine and a sippicup, that he fixed to the classic Little Tikes Cozy Coupe cars. 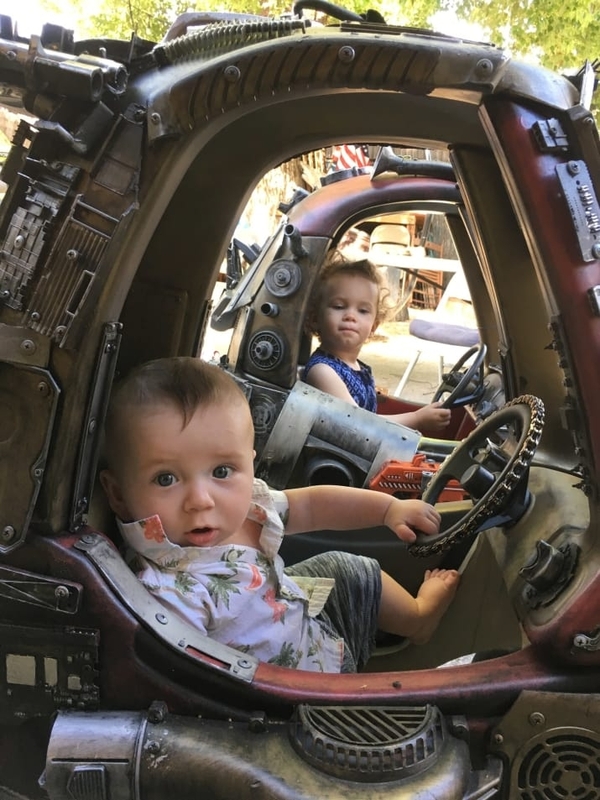 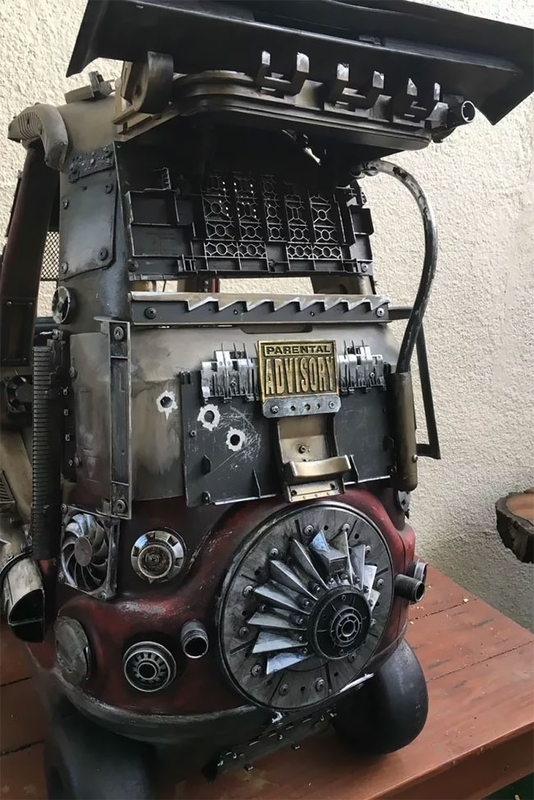 There are plenty of images below, that will show you all the amazing details Pfaff was able to attach to them and how much fun the kids are having. 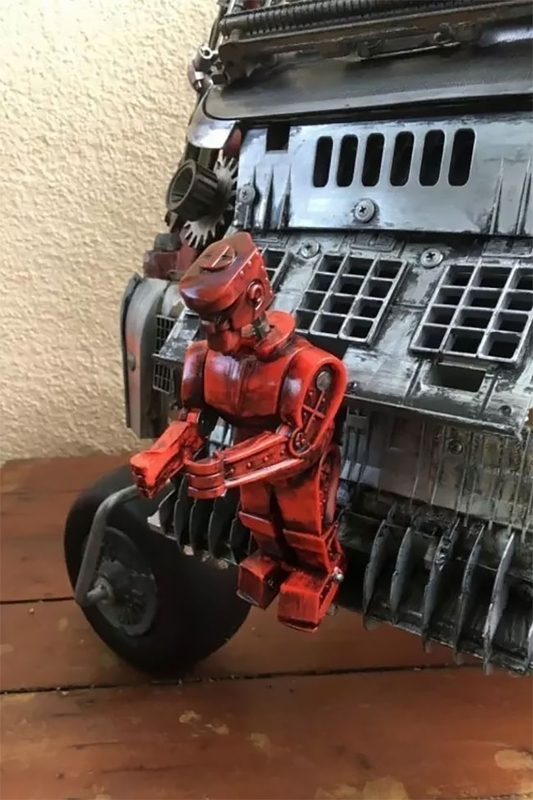 via buzzfeed.